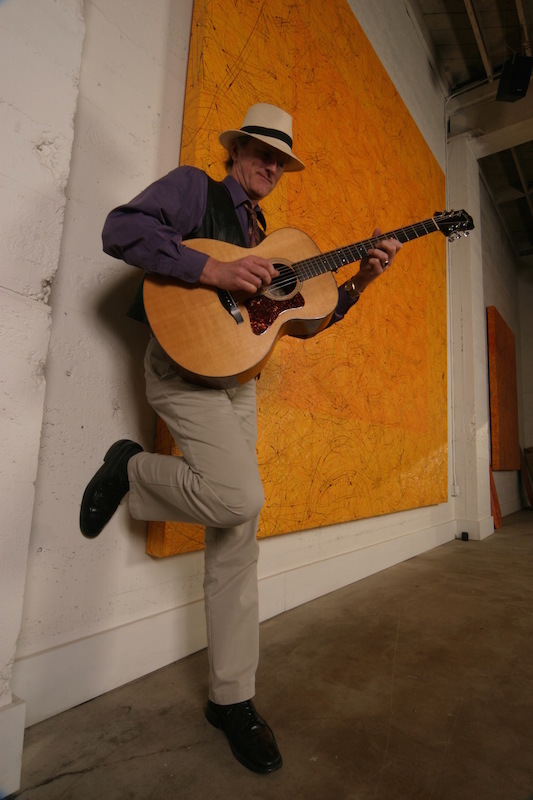 Grammy-Award winner Mark Hanson is a well known performer, author, and instructor in the acoustic guitar field. He has authored over two dozen guitar books/DVDs on a variety of topics, released 10 solo and group recordings, and contributed to numerous tribute CDs, one of which – Solid Air Records’ “Henry Mancini Pink Guitar” – won a Grammy for best pop instrumental album in 2005. A number of Mark’s recordings have been – and are currently – heard on syndicated radio and television, including NPR, Martha Stewart Living and American Idol. Mark played for the President of the United States in 2009. Mark and his wife, Greta Pedersen, founded Accent On Music LLC in 1985, publishing his many titles and hosting the annual Accent On Music Fingerstyle Guitar Seminar in Portland, Oregon. Performers/teachers such as Tommy Emmanuel, John Renbourn, Alex DeGrassi and Laurence Juber have joined Mark for the fest. Mark earned a music degree at Stanford University and performed and taught for many years in the San Francisco Bay Area. In 2014, Mark was profiled by the University of Oregon School of Journalism and Communication in the Eugene Register-Guard. Check out the lovely video they made on this page, and the full interview here. Grammy-Award winner Mark Hanson and his wife Greta Pedersen – Young Audiences’ 2009 National Artist of the Year – founded Accent On Music, LLC in 1985. Together they have published dozens of Mark’s titles, performed worldwide, and played and sang for the President of the United States in San Francisco in 2009. Mark’s second publication, The Art of Solo Fingerpicking, was honored in 2012 by being included in the 50 Greatest Guitar Books publication. Accent On Music, LLC continues to publish well received guitar instruction and repertoire materials, including 2015’s Travis Pick the Hits! For information on Greta’s performing and teaching, see her website.